Developers are encouraged to submit patches via Bugzilla. Such patches will have a good chance of being integrated into Claws Mail. The patch should be submitted as unified diffs (`diff -u`) against current GIT. The patch should apply with -p0. The patch should follow the current coding style. Tabs are 8 characters long. The patch should compile without warnings (-Wall). The patch should not depend on other patches. The patch should be accompanied by a description. Only one feature per patch. The patch must be licensed under the same license as Claws Mail. 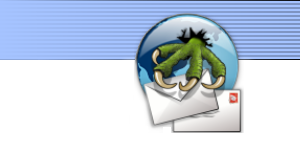 If your addition is really huge and you would like to join the group of developers working on Claws Mail send details of your ideas/features to the claws-mail-users ML or directly to paul@claws-mail.org.